Tiger eye gem stones have been a popular item in jewelry since time immemorial. Their lustrous stripes of gold, brown and sometimes copper make the perfect accessory. The stone calls to us so much, it’s traditionally been used as a powerful stone of protection and even carries associations of increased confidence and courage. Turns out the stone also inspires gorgeous hair. Tiger eye hair has been blowing up all over social media. 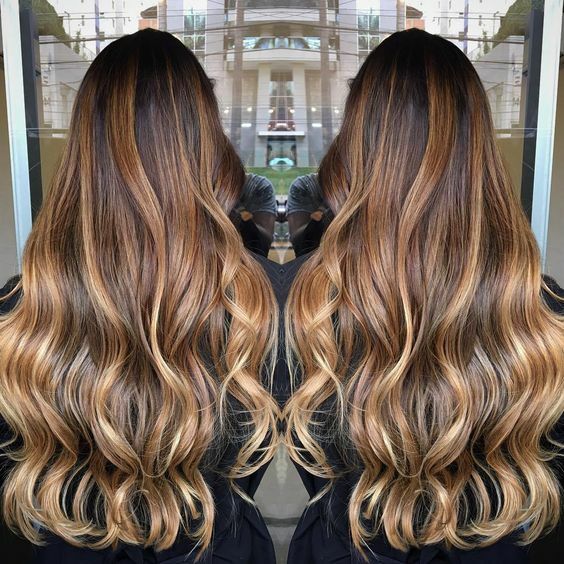 It’s a balayage coloring technique that incorporates the same golden, brown and sometimes reddish tones into the hair in a light painting technique. Colors start very sparse at the top of the hair as the lightest of highlights, and then end up more prominent at the ends of the hair. This is one of the easiest styles to try at home, though a salon is also a good option to get the most even coverage. You’ll need any dye that’s a deep brown, golden shade or copper shade. For the best results, you may want to mix different chunks of highlights in these shades together. Then you lightly paint the dyes into your hair, going sparse at the top and applying more liberally towards the ends. This look goes best with a dark brown base color to match the deep shades of tiger eye stones. Like any hairstyle, tiger eye hair comes in different types. Below are some top ways of wearing tiger eye hair to get you inspired. 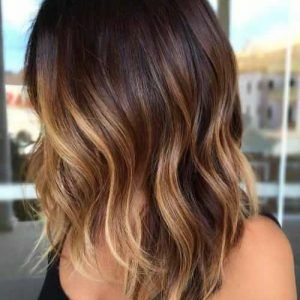 This is very classic look for the style, which starts a darker brown at the top and simply fades into a golden brown the farther down the hair’s length you go, mimicking the dark and golden tones seen most commonly in tiger eye stones. This look starts very dark at the top, goes into rich light browns in the middle and ends in more of a honey blonde at the tips. This look is inspired by more of the coppery tones seen in certain tiger eye stones. It starts very dark and gradually fades into a coppery shade. The very tips of the hair are subtly golden yellow. This look also works as a more traditional ombre style. 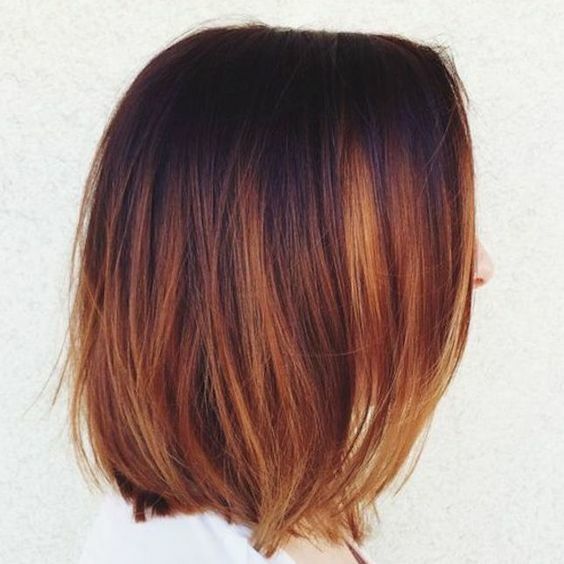 The color starts farther own, but still goes in that dark brown to light honey style. This look starts as a chocolate brown and then has light highlights of golden tones at the bottom of the hair. The key with this look is to find the richest chocolate brown shade you can for the base. This look merely paints in honey and copper tones at the front of very dark brown hair.